Just so you don’t think I haven’t been sewing at ALL…. My good friend Pru just had her first grandbaby. I think Pru might be my first friend to have a grandbaby during the course of our friendship. I think this means I’m getting old. 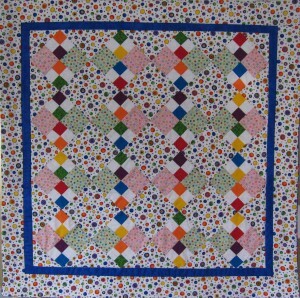 But in any event, it was nice to have a reason to make a baby quilt. 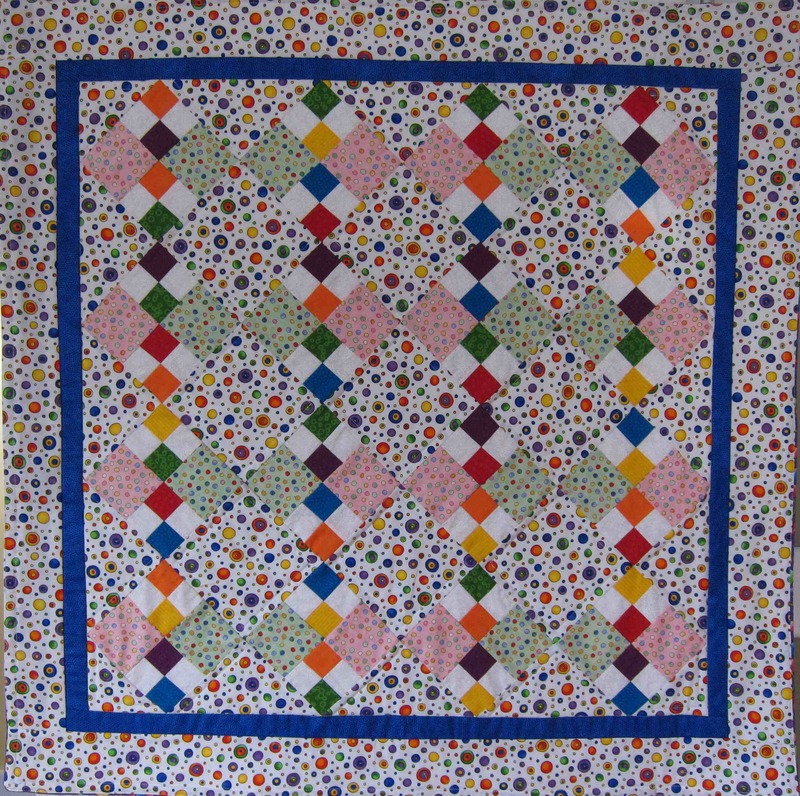 Baby quilts are usually small and happy. The small part makes it quick to whip them up. The happy part means that I get to chose happy fabrics – pastels that I don’t usually work with, or in this case, bright rainbow colors. When I was in Houston, I got a rainbow set of fat quarters and figured that I’d find a good use for them. Well here they are. 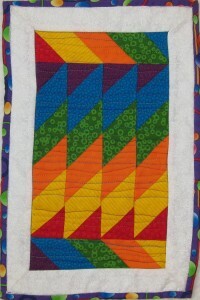 Jackson Victor’s baby quilt using my rainbow of fat quarters. I really enjoyed making this quilt. It didn’t take too long. 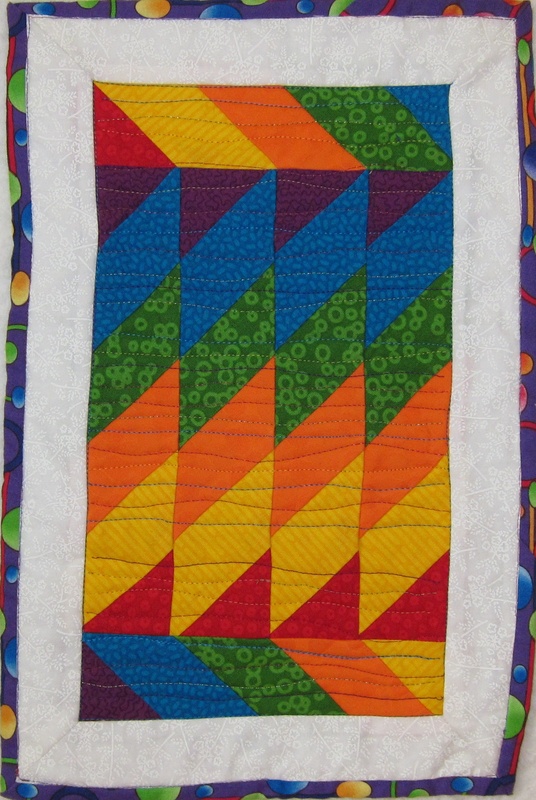 I didn’t do a lot of quilting on it, because I didn’t want it to be too busy. Also, rather than using a binding, I decided to sandwich the quilt and finish it off more like a comforter. Then, I sewed about a half inch in from the edge to make it look like it has a binding. That’s a trick to use when, really, you just can’t bring yourself to make binding, put it on, and hand stitch it down. 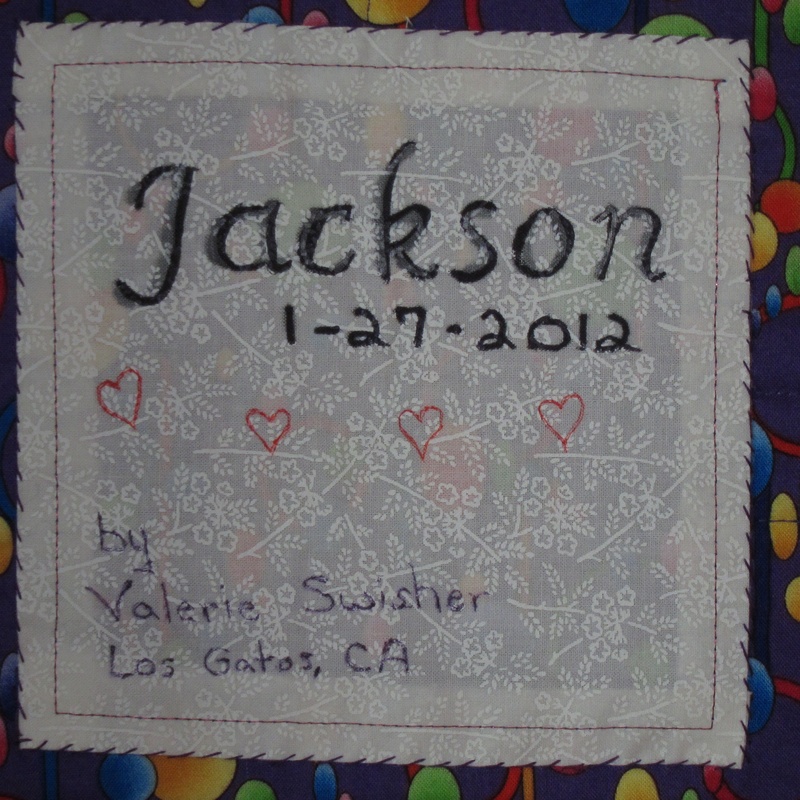 I decided to use the backing fabric from Jackson’s quilt on the binding I DID create for this one. And voila! 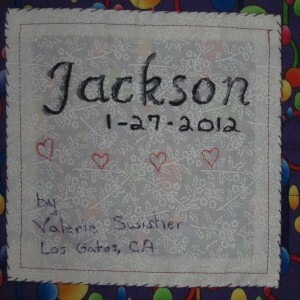 I’ve decided to give the little quilt to Jackson’s grandma to commemorate his birth. It’s always nice to give a close relative a quilt made from the same fabric. It is special. Later tonight, I will go and deliver the quilts. I’m so excited!